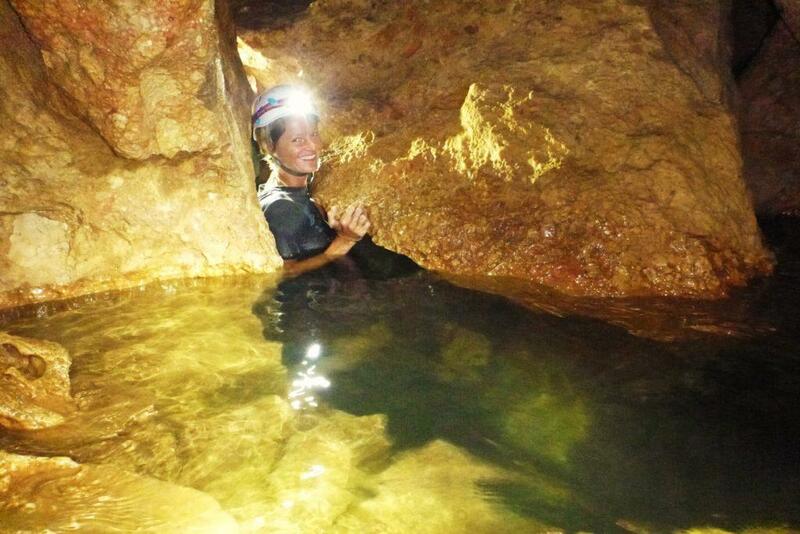 Travel to one the most popular Mayan ceremonial caves in the Maya world. Discovered in 1986 in western Belize, mapped and studied by archaeologist from 1993. 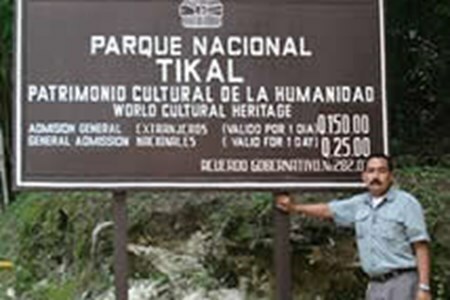 The cave has a full length of 5 km but the ceremonial area used by the Mayan priest & shamans is 1 km from the entrance. Fourteen human remains have been found inside and 1100 ceramic objects. All bones and most ceramics have been completely covered by calcite from the drip water which has left them with a sparkling appearance especially the full extended skeleton called the ‘Crystal Maiden’. 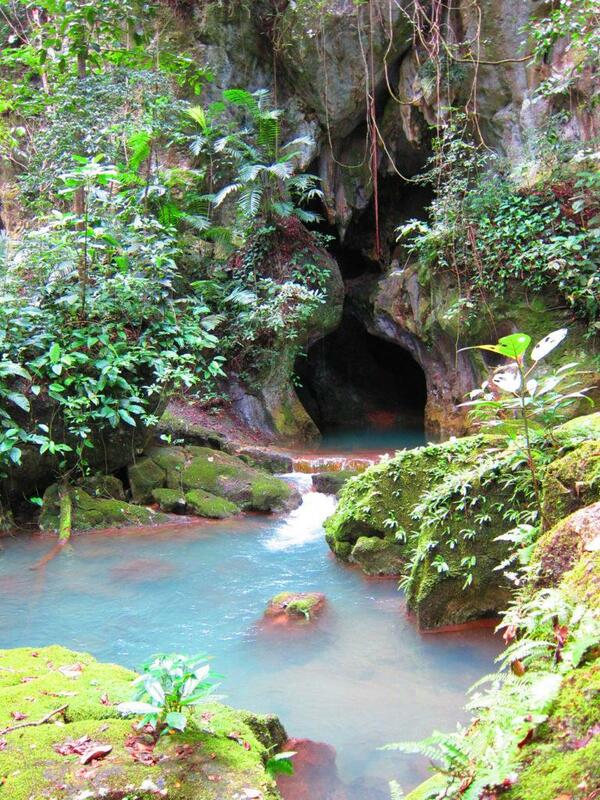 Drive 1 hour from San Ignacio then hike is 35 mins on a jungle trail. 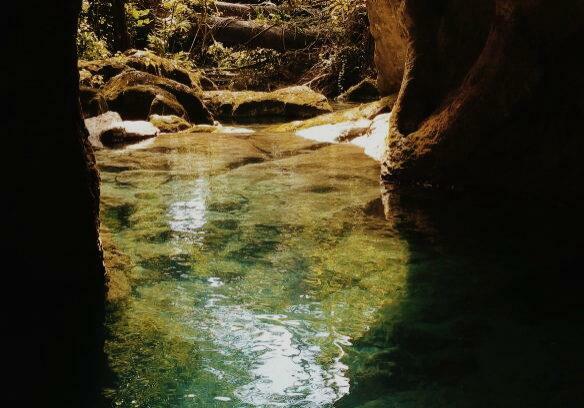 Swim once across a river then walk across shallows twice. Inside the dry zone where the artifacts and bones are located all persons need to remove all shoes and walk in socks to reduce damage. To see the Crystal Maiden you need to ascend a 13 ft ladder to reach the area known as the sepulcher. 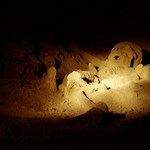 Time spent inside the cave is 2 ½ to 3 hrs. 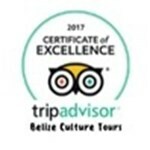 Get a in-depth look at Belize’s Mayan culture. Katun Ahau is owned and operated by Elias Cambranes. 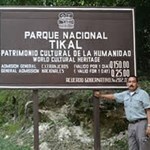 Elias is a San Ignacio Belize tour guide with over 25 years experience in giving archaeological tours to sites in Belize and to ... moreTikal in Guatemala. Our tour guide through katun ahau- Ben - was absolutely amazing. Ben was here on time and seemed excited to share about his country, the area, and of course - the cave and the rituals. Ben was open regarding all questions our crew had, even the critical ones. He was helpful and thanks to him we were almost the first group in the cave. He took his time explaining everything, has a wealth of knowledge ... more about geology as well as vegetation and wildlife. He spotted threats way before anyone else and took care of his group, making sure everyone has a great experience. Ben has experience as a cave rescuer and has come to this cave as a guide for 17 years. He has worked with the researchers here and shared a wealth of their knowledge. The truly most outstanding part about Ben was - he loves this place and it shows. he loves explaining and protecting it, making sure that his guests are careful and educated where others seemed careless (stepping on artifacts, bones, etc). Totally recommend this guy and will specifically ask for him when I book other tours in the area if at all possible. This is an awesome tour, a must do. There is a lot of climbing and descending though. Make sure you have the stamina. Our guide Ben Cruz was amazing and very knowledgeable. Elias shared a wealth of knowledge of the Mayan history and religion and tied it in beautifully with our cave experience. At least two other guides passed our group as Elias helped me, and those I talked with after, understand the significance of the ATM cave to the Mayan. Well done Mr. C!